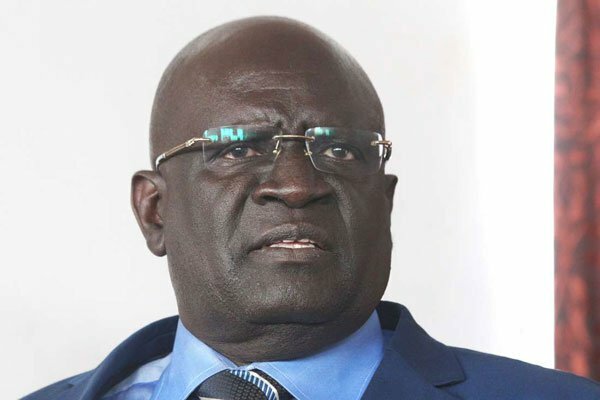 Thursday March 14, 2019-President Uhuru Kenyatta‘s nominee as CS for Education, Professor George Magoha, has boasted that he is the right man to reform the sector. Appearing before the committee of the whole House chaired by Speaker, Justin Muturi, on Thursday, Magoha, who is a surgeon by professional, said should the legislators approve his nomination, they can expect to see changes in the Education sector. He said everything he touches turns to gold and failure is not in his vocabulary. "I did not lobby. I am completely apolitical and my nomination is purely on professionalism," Magoha said. He denied that his leadership style is mechanical, and said he consults widely before making a decision. Magoha said he will ensure all candidates whose registration was cancelled for using fake birth certificates sit their exam. The professor also said should the legislators approve his nomination, he will ensure all candidates sit national examinations. "I want to declare that under my watch no child will be denied to sit the exams for reasons beyond their abilities," he said. The Prof is not bragging and if he is then he has those rights based on his tracked record. In any case we shall hold him to account. This appointment has been long in coming. I am one rooting for the don to turn things aground. I hope he has the capacity to tame the nutty professor of KNUT, one Sosion and his bunch of loonies who think pay rise this or pay rise that for absolutely no work yet they abhors performance contracting. Kamata hao mkia professor!